Wride, a 20 year veteran of the Utah County Sheriff’s Office, “served his community in various roles, including patrol and as a member of the department’s special operations teams, K-9 and SWAT,” Hatch said. “Sergeant Wride was married to Nanette, his wife of 18 years. He was the father of four boys and one daughter, Nathan, Chance, Shea, Tyesun and KylieAnne. He also had eight grandchildren. I wish to extend my sympathy to his family and recognize Sergeant Wride for his service, selflessness, and courage,” Hatch said. In his speech, Hatch noted that including Johnson, 112 names will be added to the National Law Enforcement Officers Memorial in Washington this week for law enforcement personnel who gave their lives in the line of duty in 2013. Mr. President, I’d like to take a moment to say a few words in honor of National Police Week. I want to take this opportunity to remember the brave men and women of law enforcement who made the ultimate sacrifice and gave their lives in the line of duty while safe-guarding our communities. Since the first recorded police death in 1791, there have been 21,742 American law enforcement officers killed in the line of duty. This year, 112 names will be added to the National Law Enforcement Officers Memorial here in Washington. We should remember that there are 112 families who grieve the loss of a loved one who gave their life to protect their community and keep their fellow citizens safe. Today, I want to recognize two Utah law enforcement officers who recently gave their lives in the line of duty. 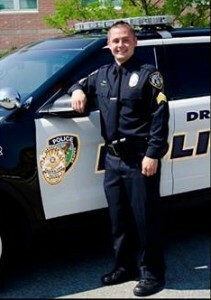 Sergeant Derek Johnson had served with the Draper Police Department for nine years when he was shot and killed while on uniformed patrol in the early morning hours of September 1, 2013. During his service, Sergeant Johnson was the recipient of many awards, including a Life Saving Award and a Distinguished Service Award. He was also honored as the 2012 Community Policing Officer of the Year. We take this time to think about the friends and family who mourn the loss of Sergeant Johnson and keep his wife, Shante, and his seven-year-old son, Bensen Ray Johnson, in our thoughts and prayers. 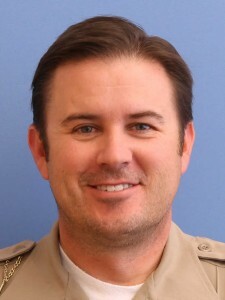 Another recent tragic loss to the Utah law enforcement community was Utah County Sheriff’s Office Sergeant Cory Wride. Sergeant Wride was shot and killed while on duty on January 30, 2014, as he was assisting a stranded motorist. Sergeant Wride served with Utah County Sheriff’s Office for nearly 20 years and served his community in various roles, including patrol and as a member of the department’s special operations teams, K-9 and SWAT. Sergeant Wride was married to Nanette, his wife of 18 years. He was the father of four boys and one daughter, Nathan, Chance, Shea, Tyesun and KylieAnne. He also had eight grandchildren. I wish to extend my sympathy to his family and recognize Sergeant Wride for his service, selflessness, and courage. I urge my colleagues to take a moment this week to think about these men and pay respect to the numerous other fallen heroes who have served our communities with professionalism, integrity, and compassion, as well as all members of the law enforcement community who watch over and guard our streets and protect us, our families, and our communities. ON Kilter: What do repetitive shooting incidents say about us?